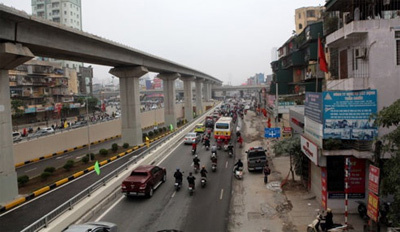 After several years of sputtering, Hanoi's elevated rail project now has a new finish date with the first train scheduled to run on December 31. The Railway Project Management Unit (PMU), the investor, and the main contractor China Railway Sixth Group Company have signed an agreement promising to meet that deadline. Deputy Transport Minister Nguyen Hong Truong witnessed the signing. 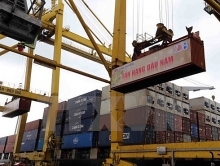 Le Kim Thanh, general director of the Railway PMU, said that 70% of the construction work for the Cat Linh-Ha Dong project has been completed./.